Blenders have been around for decades and now they have become a staple of kitchens. When you have a blender, you can do almost anything quickly including grind, chop, blend, stir, mix, grate, whip, puree, juice and more. But it’s important to operate your blender correctly to take its full benefit. Here are some tips with which you can do that. Kitchen appliances tend to break down often due to any reason, whether any manufacturer’s fault or your fault. Working with faulty appliances is not only time-consuming and frustrating, but even dangerous. This is true for your blender too. Although you know how to choose the best blender and have bought one accordingly, it can break down at some point. It’s in your best interest to keep checking time and again whether it’s working properly. You should keep your blender clean, and avoid staining or collecting food deposits, because this too is important for keeping your blender in the best working condition. Not every blender is able to blend everything. There are limitations to the capability of a blender. Read your instruction manual carefully and put in only those ingredients which it can handle well. For example, not all blenders can handle ice well. If you plan to blend ice, you should look for a blender that can do that. Also you should ensure whether your particular blender can handle hard produce like ginger, apple, carrot etc. Today many blenders come with excellent safety precautions. But still, you should make sure whether the lid of the pitcher is locked properly. Some blenders offer feeder caps that you can take out and add more ingredients without having to stop the blender. But otherwise it’s best keep your blender properly covered to avoid your food spreading all over your kitchen. If it’s making a problem while starting, check whether the blender and the base are meeting or not. If they are not connected to each other, the blender may not start. Today’s blenders are also equipped with a variety of settings for different functions. If you are interested only in grinding and nothing else, you should look for a blender having only the settings you want, rather than having a lot of bells and whistles. 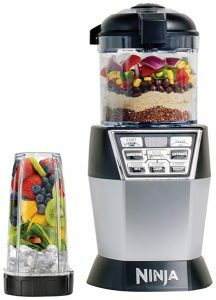 But if you have bought a blender with several settings, you should take advantage of them and try many different recipes like smoothies, juices, gelato, ice creams, sauces, shakes, soups, hummus, nut butters, dips, cocktails, salsas and more. If you take full advantage of your blender, your life can become full of fun. Make your culinary mission successful with your blender and enjoy having great foods.